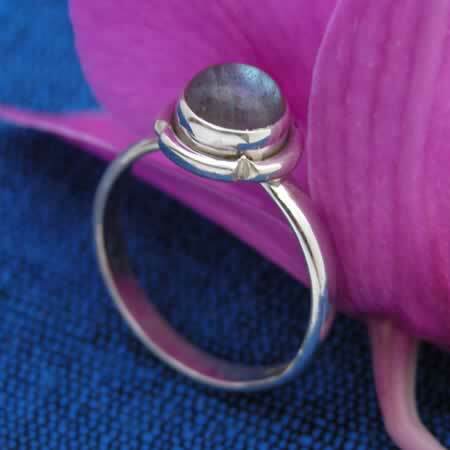 Cute and simple, this ring has a single stone that measures about 1/4" across. The stone in this piece shows nicely. Select stone to see ring size availability.